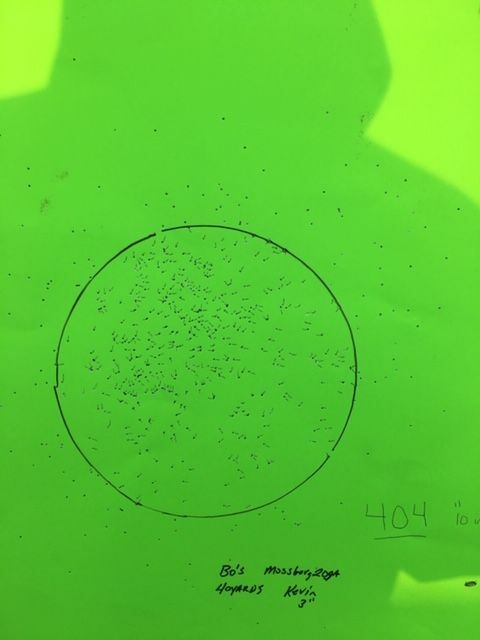 Do you use a pellet trap to recover the TSS from patterning? That's a lot of dough going out the barrel. I guess all of us that buy from you have sort of financed this research. 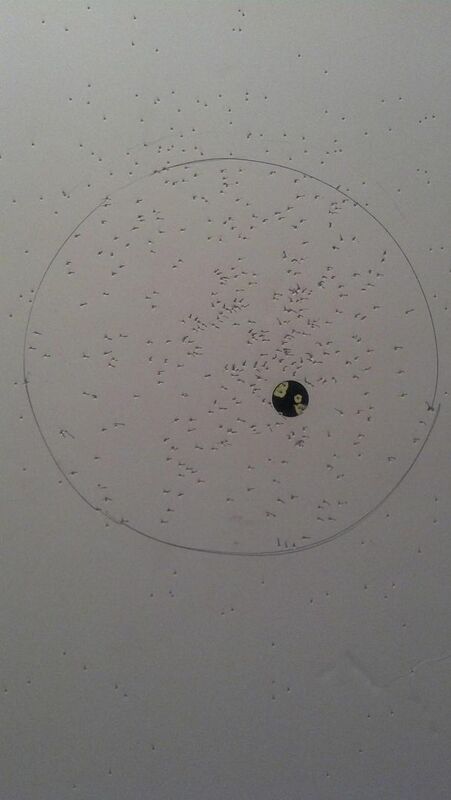 paulinkansas wrote: Do you use a pellet trap to recover the TSS from patterning? That's a lot of dough going out the barrel. I guess all of us that buy from you have sort of financed this research. I never bought a pellet trap, because I'm always shooting a bunch of targets lined up at a time, to save walking back and forth and time. 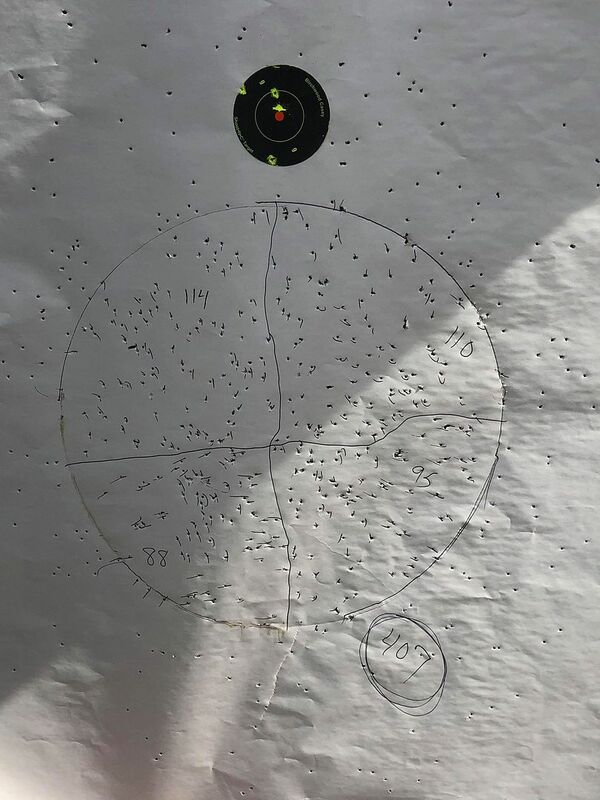 I didn't shoot all these - lots of guys involved in these patterns. Wow. Is it time to go 8.5’s on turkey with this load? 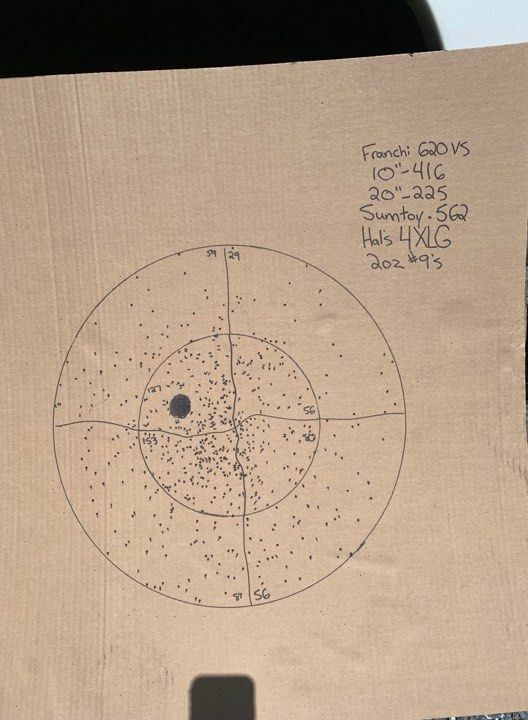 Very impressive 20 ga loads and patterns. 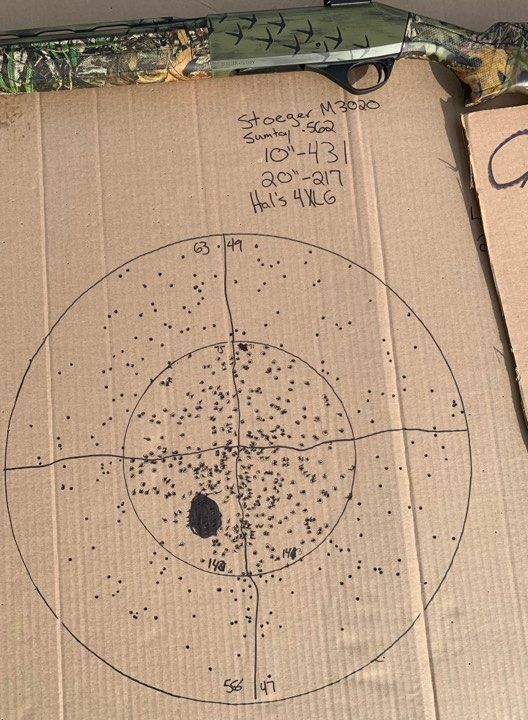 I patterned a new choke tube this week in a Beretta A350 using the Trulock TSS .650 constriction, and your 3.5 inch 2.5oz load of #9’s and came up with 502 pellets in 10 inches at 40 yards. The combo is shooting about 6 inches left of center so I won’t be using this year with no time to install sighting device and sight in. I plan to be ready next year and dropping down to 8.5’s.